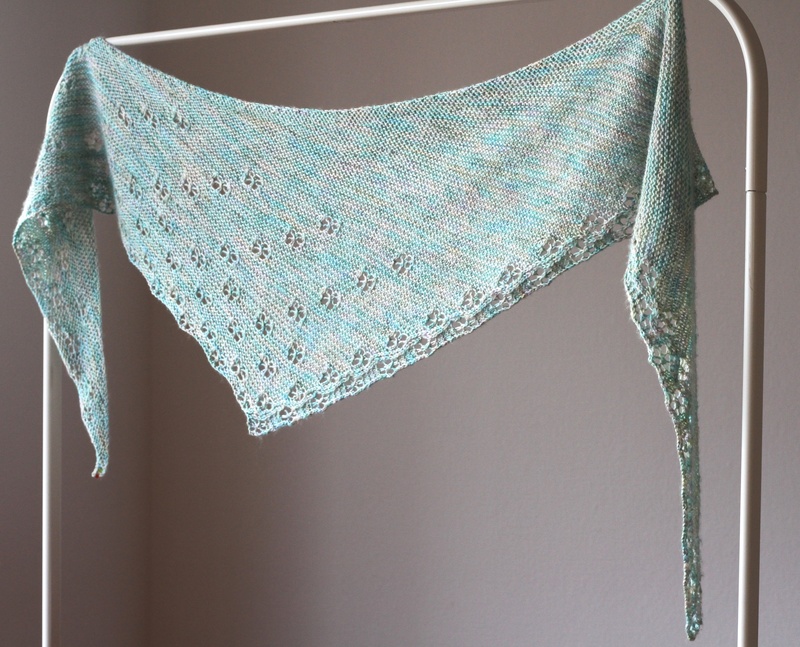 followed by pure knitting bliss with a new pattern by Martina Behm. Here’s our third cast-on Video. Enjoy! Also, if you happen to be around, you can watch the event live on youtube from 12 noon German time. Enjoy! Here’s our second Cast-on Video on Vimeo – enjoy! Also, we will be broadcasting live from Damsdorf from 12 noon on May 26th. Find the youtube-link to the live event here. 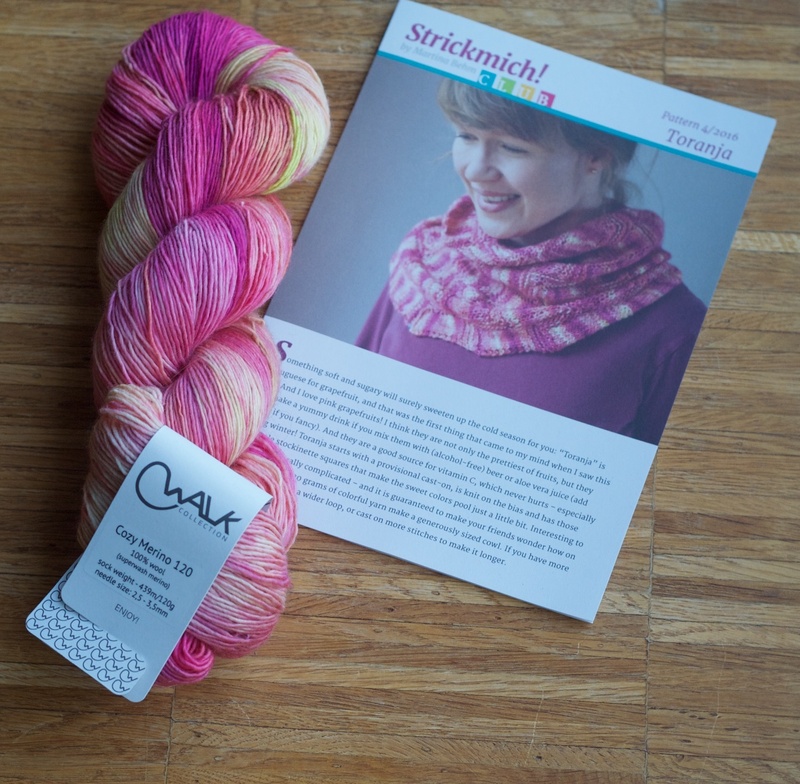 Here’s the first Cast-on Video of Strickmich! Club 2018 (Vimeo-Link). Strickmich! 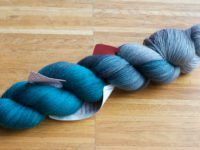 Club will be celebrating its fifth birthday in 2018, and our gift to our member is: More yarn! This time we will have 150 grams of yarn in each single-yarn club package (and 300 grams if you have the double yarn option). So let’s go big together! 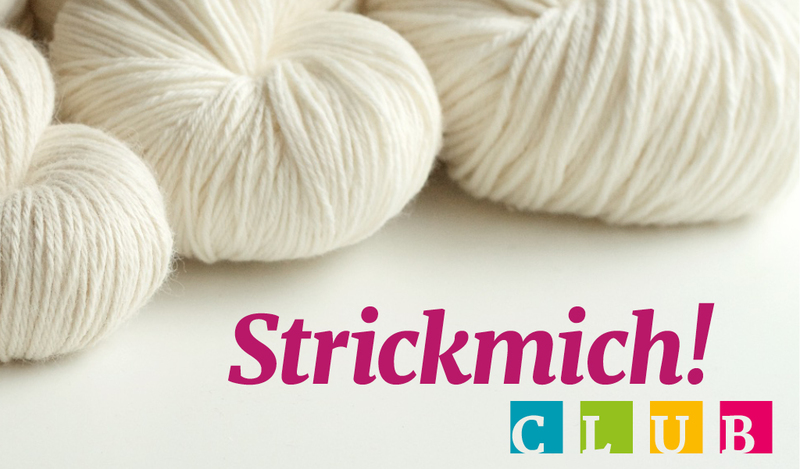 Sign-ups for Strickmich! Club 2019 will start on in November 2018 on our sign-up page. We have a waiting list here. Strickmich! 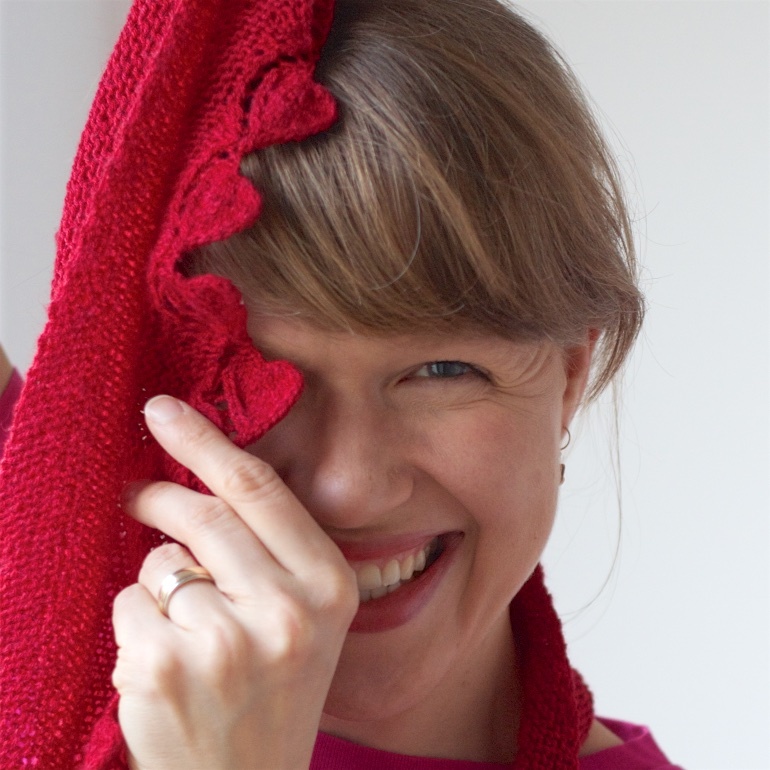 Club 2018 consists of four new knitting designs by Martina Behm (creator of popular knitting patterns such as Hitchhiker, Leftie, Viajante) plus four skeins of especially chosen, exclusively dyed yarns, carefully selected by Martina for her designs that you will surely enjoy knitting with. 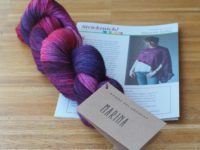 Each shipment will contain a high quality printed booklet with a knitting pattern especially designed by Martina for the Club. 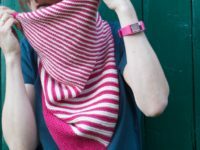 The Club patterns will only be available in print in the Strickmich! Club for 6 months. 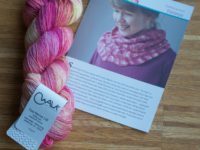 As soon as the pattern is available for sale online, each Club member will also receive a PDF copy to store in your Ravelry Library or on your computer. 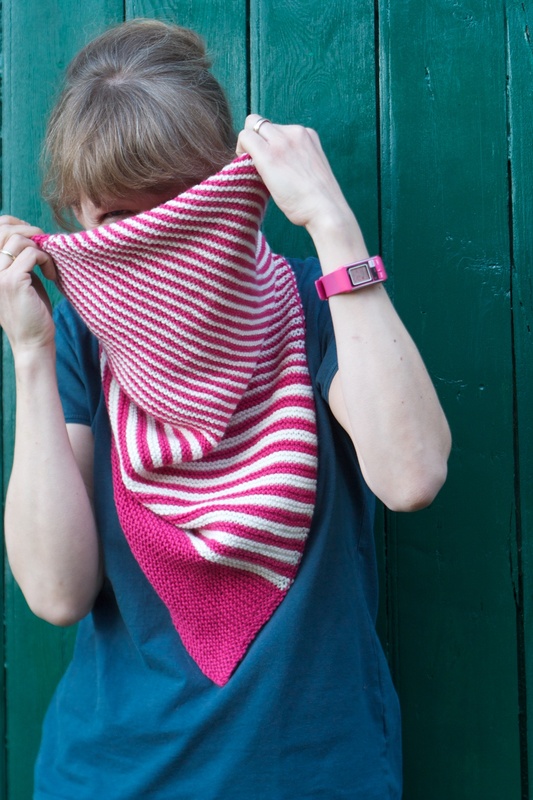 The designs are perfectly matched to the Club yarn so you can start knitting immediately. 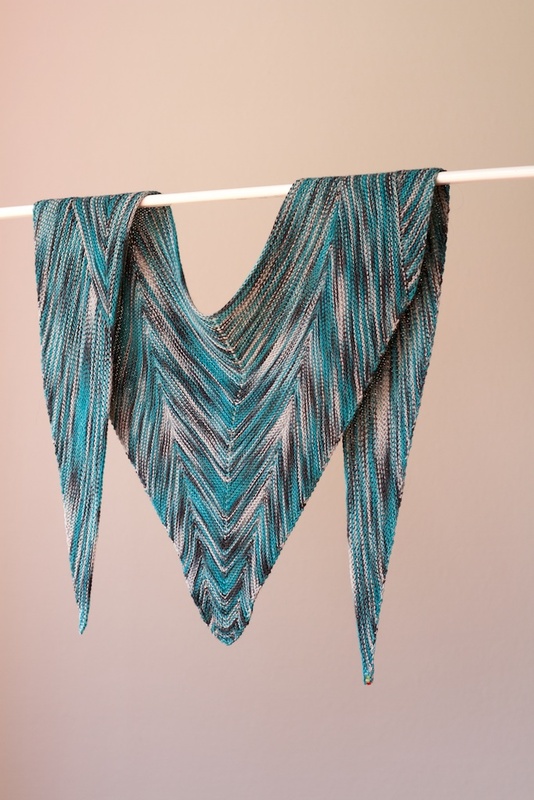 This unique combination also makes for a very special project. Therefore, there will be no „pattern only“ version of the Club. 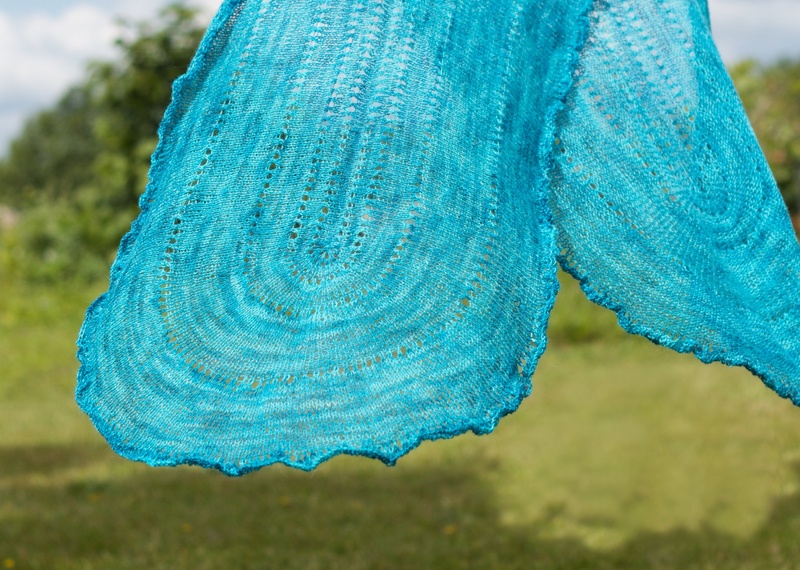 Each knitting patten will be available in English (and German), please make sure you select your favorite language at sign-up. Each pattern contains a set of four cubic Strickmich! beads that you can add to your project as your special membership badge. Strickmich! Club beads added to the 2015 Club project “Thousand Tulips”. 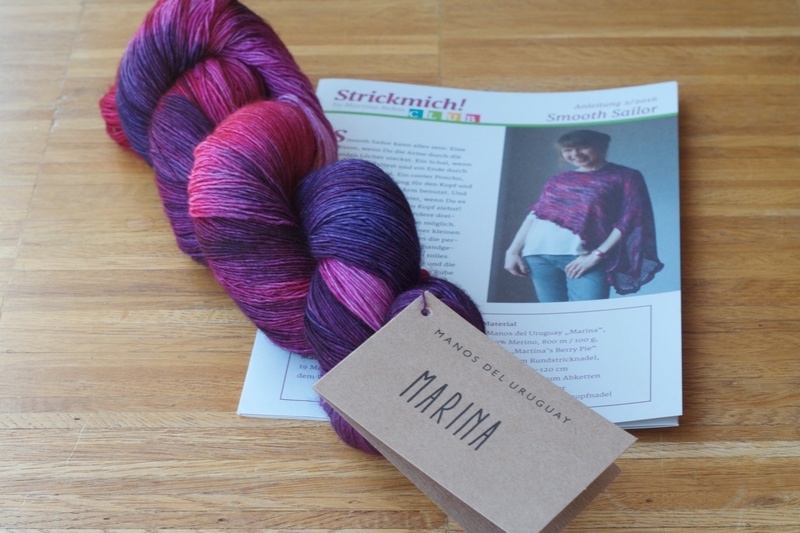 The yarn will be dyed especially for Strickmich! 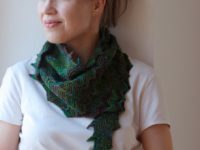 Club and Martinas pattern. The colorway will also be exclusive to the Club for at least 6 months. 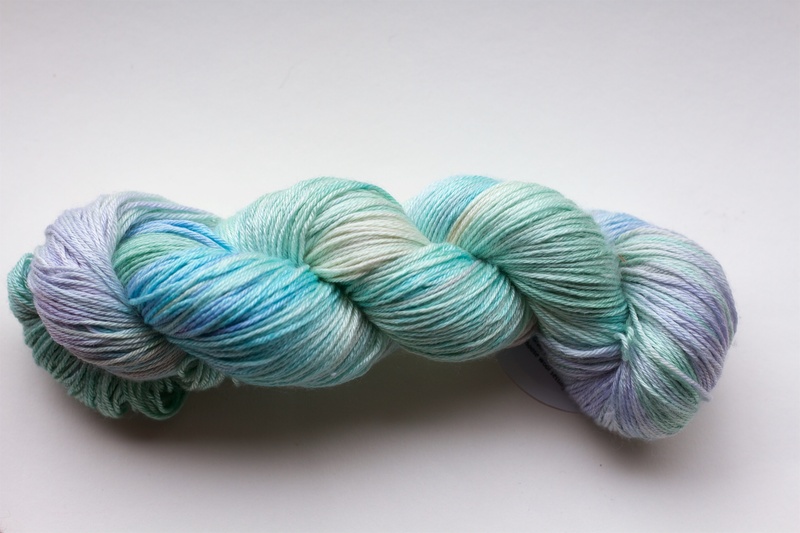 After that time, the dyers may decide to sell the same colorway in their shops or not. If by any chance you do not like the yarn (it is a surprise after all), there should be many takers. 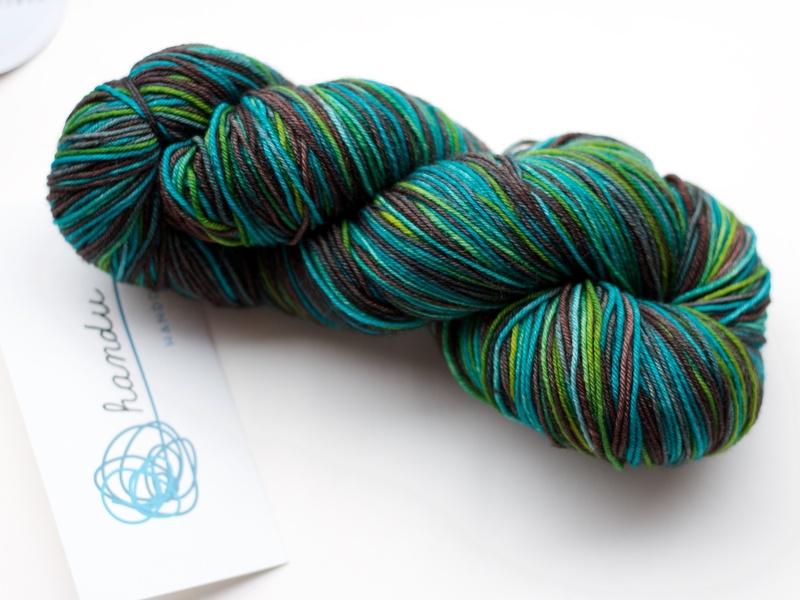 We have seen many Club members wanting more of the exclusive yarn and so there is always someone to trade with. 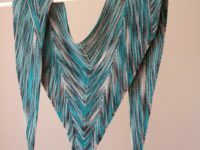 The patterns can be easily knit with a different yarn of the same type. 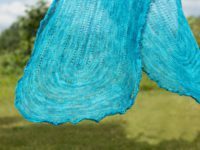 On the other hand, some members have told us that the Club shawl made from a yarn that they would have never bought themselves is now their favorite that they wear all the time… Our color spectrum tends to be more on the cold side, we regularly feature blueish and turquoise tones and cool reds, sometimes a little green, purple or a tiny bit of orange, yellow and brown come into play. 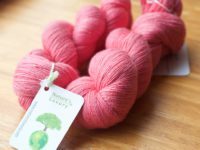 However, one shipment always features yarn from the pink-berry spectrum, as this is Martina’s favorite! 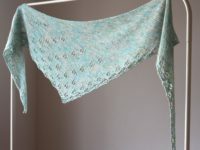 In Strickmich! Club you will receive a surprise package four times during 2018. The exact shipping dates are a surprise as well. On the other hand, we will ship sometime before our Cast-On-Events so they can serve as orientation points. We do ship all over the world, please make sure to read our shipping information page. 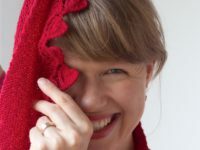 For every club pattern, Martina records a Cast-on Video in which she presents the design and the yarn, so you can have your own little cast-on event at home. 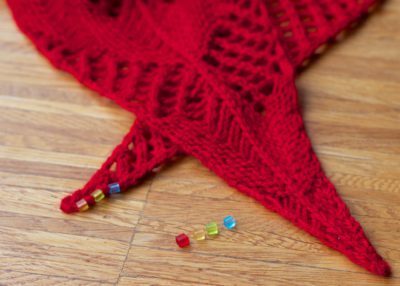 Also, whenever a pattern requires a special technique, instructional videos are available on her website – so you do not have to worry that you might not be experienced enough to knit the club patterns. 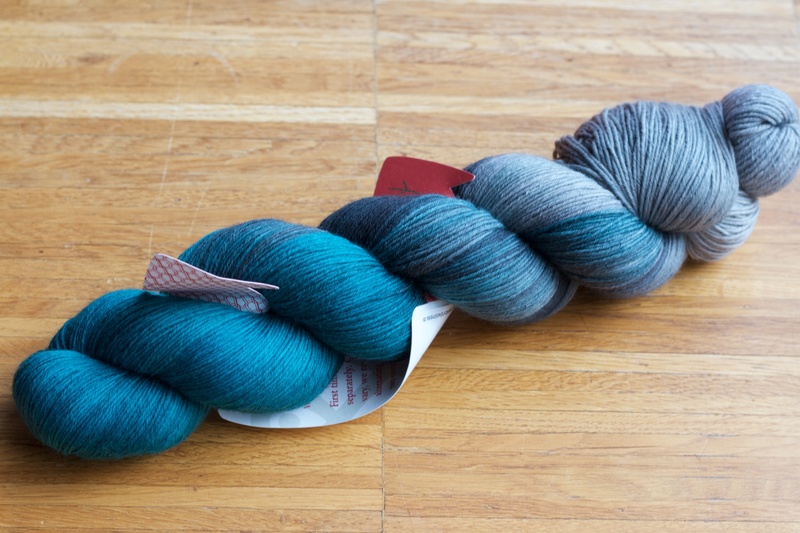 Third Cast-on video of Strickmich! Club 2017. 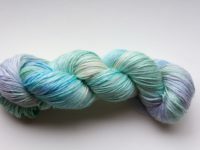 Second Cast-on video of Strickmich! Club 2017. First Cast-on Video of Strickmich! Club 2017.